Knowing what worm food to put in your worm system is as important as what food you feed your pets. After all, worms are pets too! If you there is 1 pound of worms then that can add up to a lot of worm castings. That's why red wigglers are called composting worms. When it comes to being picky about eating, just about anything that grows from the ground is fair game for worms. That's what they were created for, to eat the decaying matter and turn it into food for the next generation of plant life. The most common and practical way of feeding your worms is by giving them kitchen scraps along with some kind of carbon rich food. This is what most people start off doing who are just getting into vermicomposting. Greens, like kitchen scraps, are a great source of worm food and should always be something that grows from the ground. These are usually foods such as lettuce, corn, broccoli, grains, coffee with the bags, and so on. Keep in mind these foods are high in nitrogen and will need to be balanced with some carbon-based material so be sure to put plenty of paper or wood based products into the bin. Foods you place into the bin will sometimes get warm or even hot, so it’s a good idea to let it set for a week before introducing it to the worms. The last thing you need is for all your worms to crawl out searching for a new home or a new food source. When feeding these foods to your worms, do it in moderation. If it's introduced in large amounts too fast then the microbial community will begin to take over faster than what the worms can keep up with. This will cause the system to smell and become too wet and it will propel the bin into a thermophilic process. You may also get some unwanted friends, like fruit flies. They won't hurt your worms, but can be a nuisance in your house when they fly out of the bin. 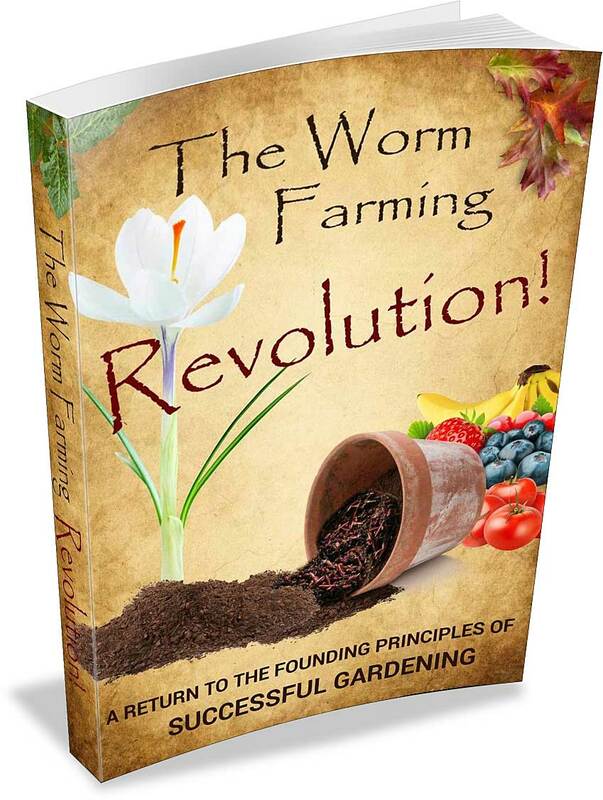 We discuss worm farming pests in the book and website. Natural kitchen scraps contain a lot of moisture already so be cautious. When in doubt, keep it out! Composting worms are very resilient and can go a long time without food. When food is scarce they'll resort to eating their castings (refining it more and more) till there is no more nutrition (for the worms) left. It's always better to underfeed than to overfeed. But remember this! the happier the worm, the more productive it will be. Never feed them more than they can keep up with. This means feeding them small handfuls at a time. When their food is almost finished introduce more small handfuls until you get an idea of their eating habits. One helpful hint when figuring out what worms eat best is to put your kitchen scraps in the freezer. This will help break down the cells of the plant, turning it into mush. This makes it much easier for the bacteria to do its job so the worms can do their job. You'll have castings quicker. How much quicker though, can vary. Now, there have been some who skip the whole process and just blend it. STOP! Leave this to those more experienced. This takes practice. Concentrate on getting good at feeding regular kitchen scraps first. If you pour in a liquid slurry, the worms will have no room to wiggle around in. It will become anaerobic quickly. There must be adequate air space for the compost and worms to breathe. This is when it’s beneficial to add carbon materials. Keep in mind, carbon-based foods such as coconut coir, cardboard, newspaper, toilet paper (unused of course) etc... will brake down faster than material like, saw dust, mulch, sticks, and straw to name a few. I've added small sticks in before, and after months it seemed as if I put them in yesterday. A good rule of thumb to remember about what worms eat is...If it comes from the ground, make it brown other than the ones listed above. Be mindful when you are considering feeding worms things like sautéed mushrooms, leftover salads, twice baked potatoes, etc.. Many people don't realize that they've added butter, salt, oils, spices etc. This substance, in my opinion, is the one of the best food sources for worm food if you are planning on using castings on your household plants, garden, or lawn. To get a better understanding consider this. The more complex the microbial community, the more complex the soil. The more frequent matter is broken down, the more complex it becomes. Plants thrive on this complexity of microorganisms. This is essentially what the plant is feeding on. Just like you and I eat a complex diet so must the worms and the plants. Now you can see the potential manure has as worm food and a worm-to-plant food. If you plan to use manure from any animal then you must be sure to compost it to rid the pile of any harmful bacteria or pathogens. You will also kill off the seeds from unwanted weeds and grasses the animal ate, therefore eliminating any chance of getting them into your garden. But what about pig, canine or even human manure (humanure). There are some that successfully do this, but mainly used for ornamental plants. This is something that you definitely don’t need to know how to do at this point. Also consider that it's a lot harder to kill off harmful diseases from these smelly poopers. So when considering food for worms, it's just best to be safe. If you're interested in composting these wastes for environmental reasons, then you might be interested in Bokashi composting. You can put any tree, plant, grass or shrub in as worm food as long as it's not poisonous (this may be for your safety). It generally won't hurt the worms as long as it's not in large quantities. However, like manure, it can contain seeds that you may not want in your garden and also, like manure, if it's composted first it will be more complex. But either way you'll be happy with the outcome for your worm food. Now, if you would like to feed the worms your lawn, leaves, trees, or plants from your garden then you need to be cautious. Be wary of any herbicides or pesticides that were sprayed on your lawn or maybe near your lawn. When it rains, the water from your neighbor's lawn (that's been sprayed by chemicals) may run off onto your lawn or garden. Some of these chemicals can harm your composting worms and you don't want them ending up on your plate either. We have enough in our commercial food already. 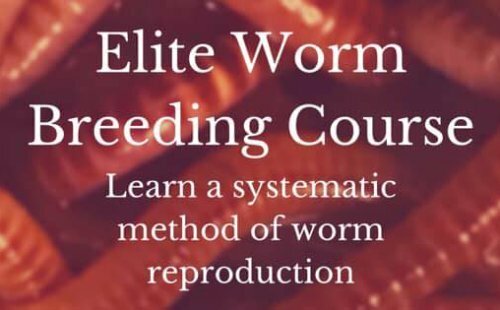 Hopefully, if you're like me, one of the purposes for raising worms is to replace the many harmful and deadly chemicals that is degrading and killing our soil, depleting it of minerals and healthy organisms. Always keep in mind that worms are like you and I. They need a variety on their plate. The more they have to choose from, the more nutrition the worms and eventually the plants will have to choose from, like a buffet. There may be some plants that are higher in protozoa than others. If you keep feeding your worms these high protozoan foods then that's all you'll have to put in your garden. Some plants need more bacteria than protozoa and some need more fungi than bacteria. Some plants need everything on the menu. You would be quite unhealthy if all you had to eat was protein. You would succumb to protein poisoning. So mix your worm food up a little bit like a good salad. This is what worms eat and prefer.